This has been quite a week. There's been all the excitement coming out of GAMA, with lots of great announcements being made. 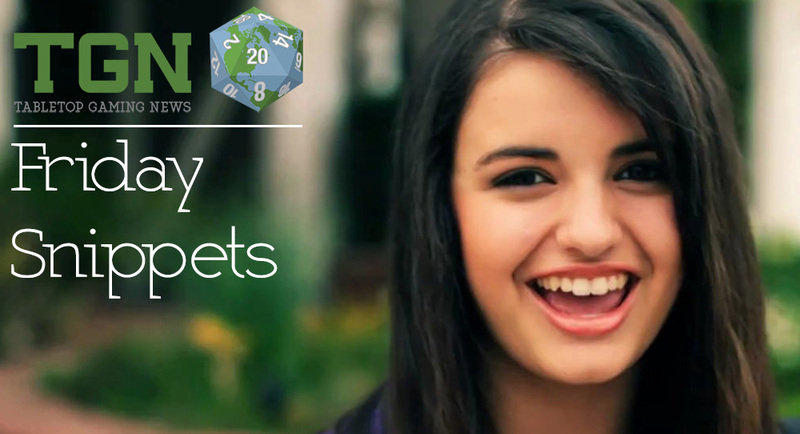 And tomorrow I've got Board Game Day up at the library. I'm feeling a bit drained from it all. Better nosh on some bite-sized gaming stories. 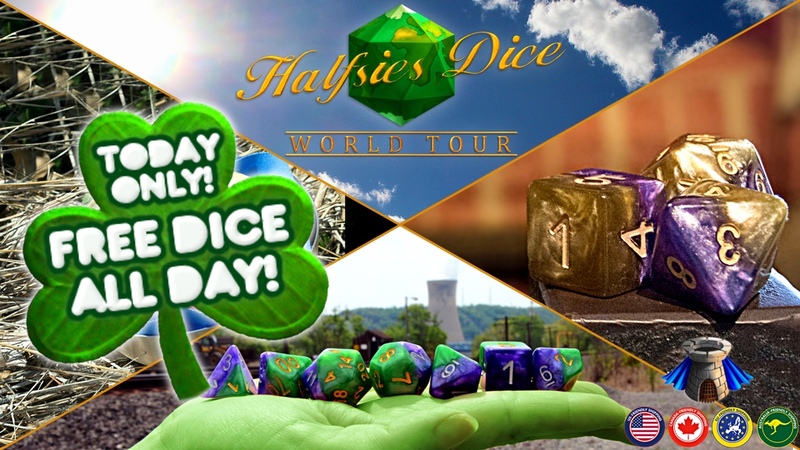 Today on the platter we have: Halfsies Dice - The World Tour On Kickstarter, Blacksmith Miniatures: World of Jean-Baptiste Monge On Kickstarter, The Adventurer's Collection Tabletop Soundtrack on Kickstarter, New Hammer Objective Markers Available From Kromlech, Syrinscape Announces License for Starfinder RPG, New 6mm Hammer's Slammers Vehicles Released, and Gaming Accessories Weekend Promo Happening At Bits of War. Well, after the fake-out that was on yesterday (a cruel trick by Wednesday in making me feel that the day after would be Friday, when it obviously wasn't), we have made it to the real Friday. It's going to be a busy one for me. I've gotta make a cheesecake tonight for a friend's birthday tomorrow, as well as raspberry and white chocolate syrups to go with it. Yes, it's all homemade. As for other things you can cut up and eat in a single bite, here's some snippets I've come across in the past couple days. 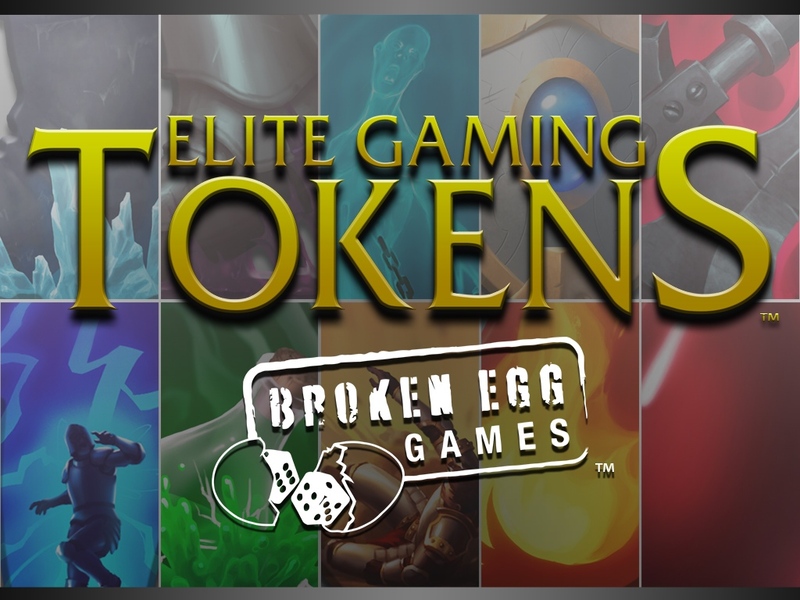 This batch includes: Blacksmith Miniatures Releases Morbag The Goblin, Another World Miniatures: Painting Contest, Wild West Exodus Previews New Render, and New Wargames Vehicle range released from Waugh Games. Give yourself a pat on the back. You've made it to another Wednesday. We're halfway to the weekend. If you have any mid-week gaming plans, we'd love to hear about it down in the comments. 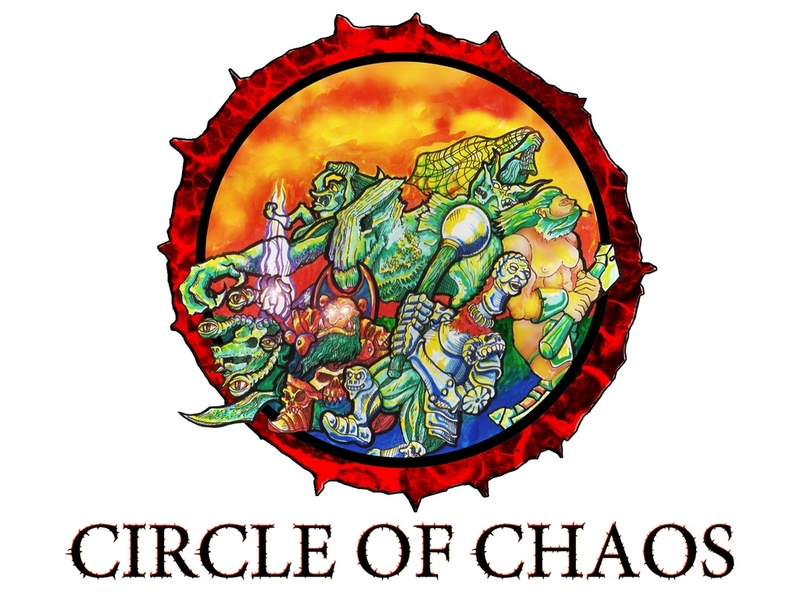 Over the next couple days, I'll be prepping for the D&D game I'm running on Saturday. Last session, the group narrowly avoided TPK twice. So obviously, I need to up my game some. As usual for the day, we've got some bite-sized stories we've collected together for you. In this batch we've got: MidKnight Heroes Reaches Funding Goal and Previews Chibi Stretch Goal, Some more Installments of The Fiver from The Meeple Mechanic, Quick Reference Rulebook of Military History: Medieval Wargame available for testing, Blacksmith Miniatures release Mahé the Sailor, New Skull Masks Available from Tabletop-Art, Final week for Dark Sword Miniatures New Range Tony DiTerlizzi Masterworks Kickstarter, Ophidian Wars releases ECG with optional 3D printed minis, NeoExodus Campaign Setting Update for Pathfinder On Kickstarter, Mekawing Z updated to version 1.7, New Shock Tokens from Sally 4th, Epic New Token Line For Table Top And Role Playing Games, Oddzial Osmy’s 3mm May Releases Arrive at PicoArmor, Hitech Miniatures New Webstore Opened, 28mm Crates Barrels and Casks from Castle Kits, New 15mm Sci-Fi Buildings from Gamecraft Miniatures, Infantry Bases for 6mm (1/285th) Figures from GameCraft Miniatures, New Rocket Platform Terrain from DerekPages, Manorhouse Workshop Update #32 – Modular Underground Project – How to paint walls and floors quickly, Demigods Evolution Funds in 1 Day, and Victrix Previews French Artillery. blacksmith miniatures release: "ARSNIK" and "CLIO et ERATO"
Blacksmith Miniatures has two new minis at rather opposite ends of the spectrum available over in their webshop. The first is Arsnik the Shaman, a goblin with a big, mushroom staff and a boar's skin for a hat. The other is Clio and Erato, two women sharing a... rather special moment, it would seem, bonding over learning to hold a firearm. Well... something for everyone, I guess. Blacksmith Miniatures released Bismuth, their new Coal miner miniature over in their webshop. Fluo Games updated their Color Warz Kickstarter again with some recalculated stretch goals, some new concept artwork as well as some more gameplay sample videos. 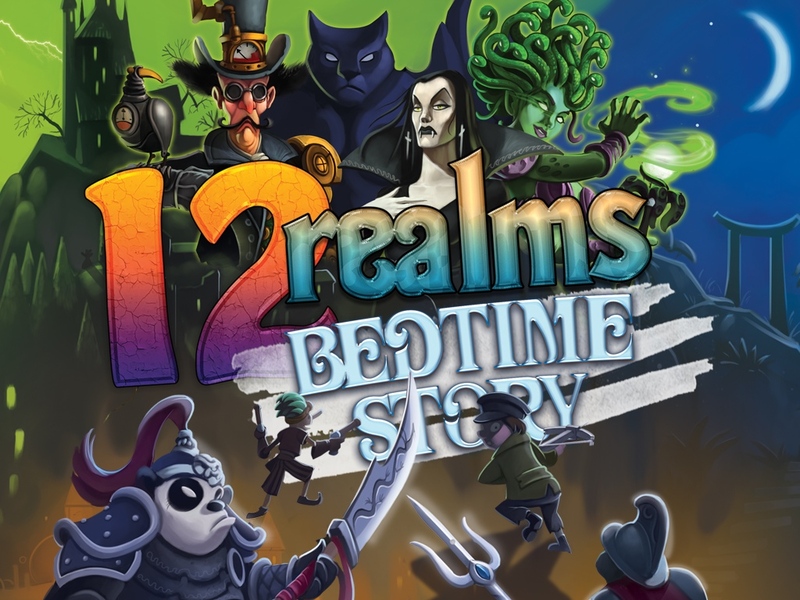 You may have seen our short gameplay videos of Cleric, Doomed Chief, Chosen One, Wooden King, Oak and Fongia. We now present you two new gameplay videos. 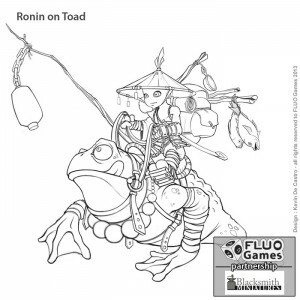 Fluo Games has announced a partnership with Blacksmith Miniatures to create the Ronin on Toad model for their Color Warz: Dark Threat Kickstarter campaign. We now present to you our first realisation in partnership with a famous french publisher : Blacksmith Miniatures. This model represents the Ronin before he becomes the Fallen One. He explores the dark swamp on his giant toad. This is a poetic realisation. This miniature is not locked, you can find it right now in the otpional stuff. 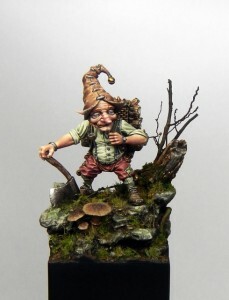 Blacksmith Miniatures has a new mini available over in their webshop. 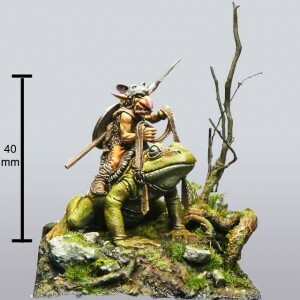 This one's Squarg the Frog Rider. 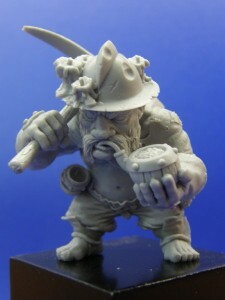 Blacksmith Miniatures has released their new Ulf the Lumberjack model over on their website. 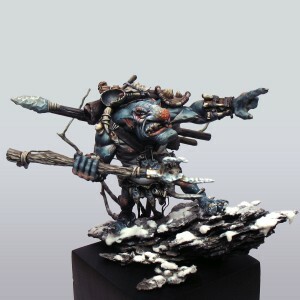 Blacksmith Miniatures added this new troll to their webshop. Say hello to Shaggra. 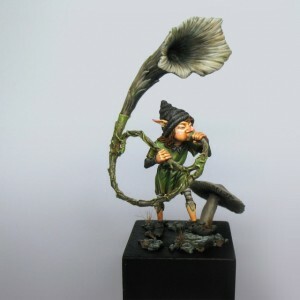 Blacksmith Miniatures Release 54mm "Lullin Elf"
Blacksmith Miniatures has released their new and rather whimsical Lullin Elf. Kit 8 pieces (with a fungus as a bonus).